Belmont Village Senior Living was recently awarded certification as a Great Place to Work by the Great Place to Work Institute, an independent research and consulting firm. The certification process explored company culture and considered more than 1,500 employee surveys from across Belmont Village’s 28 community locations and corporate office. The surveys evaluated more than 60 elements of team members’ experience on the job including employee pride in the organization’s community impact, belief that their work makes a difference, and feeling their work has special meaning. Rankings are based on employees’ experiences, no matter who they are or what they do. Belmont Village’s strategies for professional growth are geared to attract and retain high-caliber employees who are interested in building a career in Senior Living. For example, its Management In-Training program offers six distinct tracks to prepare individuals from within and outside of the company for vital roles in a Belmont Village community. Participants complete independent study modules and work with preceptors to expand knowledge in their fields and enhance leadership skills with hands-on experience. Additionally, the company’s Rising Stars recognition highlights outstanding employees who have risen through the ranks through their dedication to service and residents. 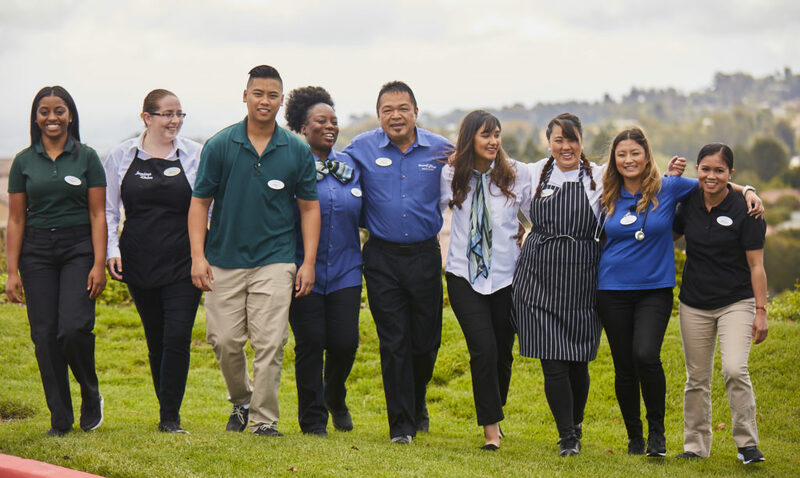 Success stories have included a dining room server who went on to become an award-winning Executive Director, recently recognized by the California Assisted Living Association. The latest initiative, launched in 2017, is the Bright Ideas competition. All non-management employees across the company are invited to submit ideas on how to improve anything in the company, from resident programming to technology to day-to-day operations. More than 200 ideas were submitted in the first year. Finalists were rewarded and two winners were selected. The winning ideas are now in the process of being implemented companywide. Founded in 1997, Belmont Village is an integrated developer, owner and operator of high end seniors housing. Its communities are renowned for their distinctive design, high standards of life safety and reputation for quality of care and award-winning programs. Since its inception, the company has developed and still operates 28 senior living communities in seven states and Mexico City. Learn more about Belmont Village at www.belmontvillage.com and on LinkedIn, Facebook and Twitter. Great Place to Work is the global authority on high-trust, high-performance workplace cultures. Through its certification programs, Great Place to Work recognizes outstanding workplace cultures and produces the annual Fortune “100 Best Companies to Work For®” and Great Place to Work Best Workplaces lists for Millennials, Women, Diversity, Small & Medium Companies, industries and, internationally, countries and regions. Through its culture consulting services, Great Place to Work helps clients create great workplaces that outpace peers on key business metrics like revenue growth, profitability, retention and stock performance. Learn more at Greatplacetowork.com and on LinkedIn, Twitter, Facebook and Instagram.